Access to clean water has reduced childhood mortality rates. In addition, we found that young girls who would have spent all day carrying water were now able to attend school. Clean water truly has a trickle down effect! Water is the world’s most precious resource. A community without a reliable source of clean water struggles to meet its most basic needs. Almost 8% of children never reach the age of 5 years old in rural communities. Water borne diseases account of a large percentage of these deaths. 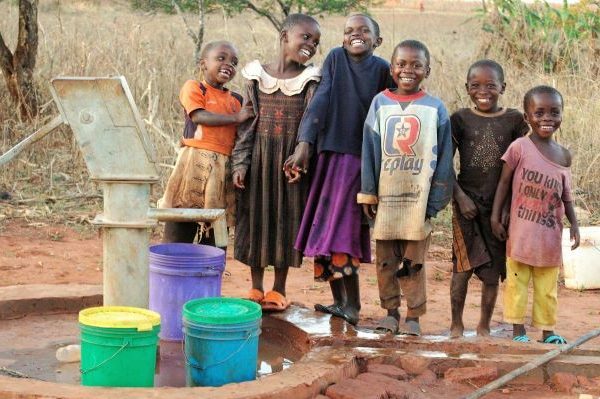 Over $120,000 raised to install more than 40 fresh water wells. Locations of wells determined in conjunction with village elders. Decrease in childhood morality rate to bacterial diseases. In rural Tanzania, carrying water is considered work for women and girls. Before the wells, women spent most their time collect and sterilizing water. After carrying water for up to 6 hours per day, girls must also collect fire wood in order to boil the water. When you are struggling daily with the most basic human need, there is little time for an education. Locating wells closer to homes and school has made the dream of an education possible! 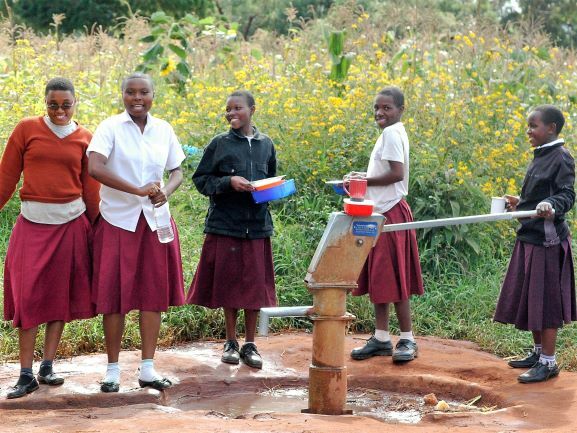 Many wells installed at elementary and secondary schools. $200 can revive a well. Over time sediment begins to block the opening. $200 pays for flushing a well to clear debris and allow the water to freely flow again. $3,500 pays for the installation of a new well. Many new wells are being placed near school so that child can come with a bucket of clean water.